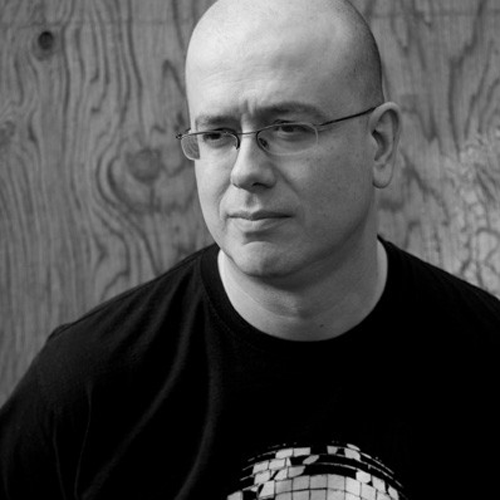 Paul Mac is a musical techno maestro, producer, DJ and label owner with a career spanning three decades and an enormous back catalogue to his name that’s truly stunning. Paul started getting seriously into music around 1984, listening mostly to electro and hip hop, eventually veering ever more towards techno and house around 1987. Or at least that’s as best an estimate as can be written as “it was a long time ago and things are misty back then” he unashamedly admits. He was greatly inspired way back in the afore mentioned mists of time by hip hop DJs such as DJ Jazzy Jeff, DJ Cheese, Cash Money, and Froggy as well as cut and paste mixers, especially Double D & Steinski. Paul started DJing around 1987, buying a set of turntables upon leaving school which progressed to writing his own music around 1993. Since then he’s had a solid career as one of the most dependable talented artists within the techno scene, never failing to constantly impress with every release he cared to put his name to …………….. although you could never quite be sure which alias he’d assume next at one point as he did go under quite a few delectable ones in the past like Herman Funker III. Paul runs “Stimulus” records, producing material not only for his impeccable imprint but also for a multitude of other renowned labels (far too many to mention). He also collaborates with Ben Sims as “Fokus Group,” another outlet for his creativity. Paul continues to create techno masterpieces for fun like he’s always done and is happy to see where it’ll take him musically next …………………….